At 79 Queen Street, Edinburgh there is a small window and door advertising haircuts and shaves for 25¢. There is a small entrance hallway leading to stairs. Pull open a bookcase and you enter Panda and Sons, a lovely speakeasy, offering cocktails and other drinks. 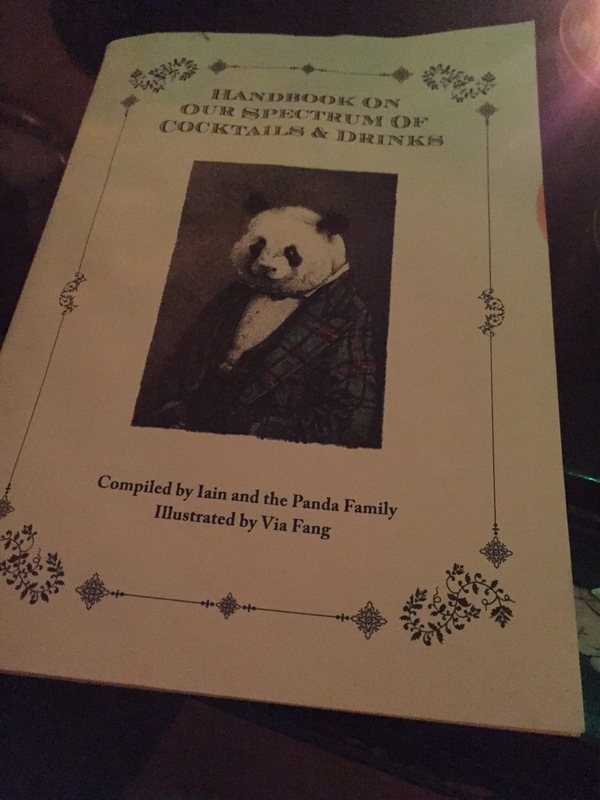 You’re presented with a booklet (above) which lists the Panda family and related drinks. 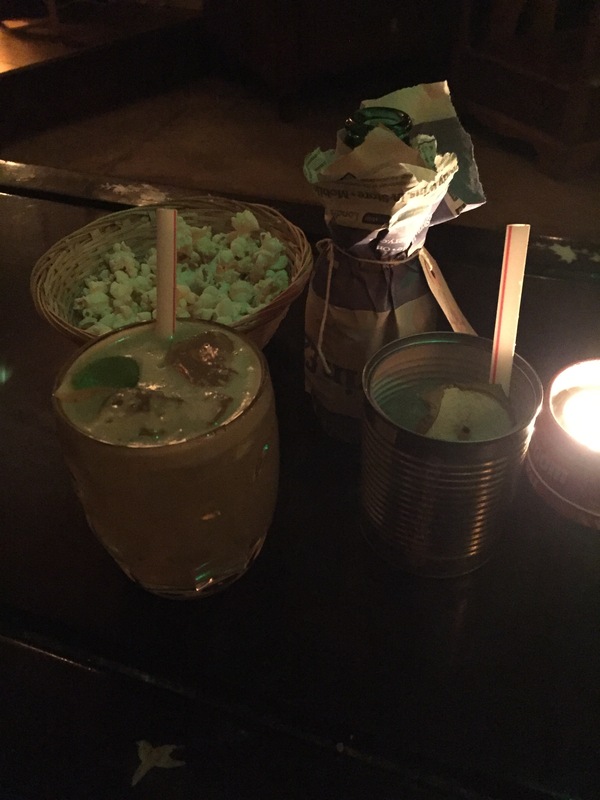 A glass of water and popcorn are given when you sit down, and the whole atmosphere feels like you have stepped back into the prohibition era, and this is an exclusive membership club. It’s nice to have a night away.